We are currently hiring for cashiers. Please stop by MoviE-Town for an application. 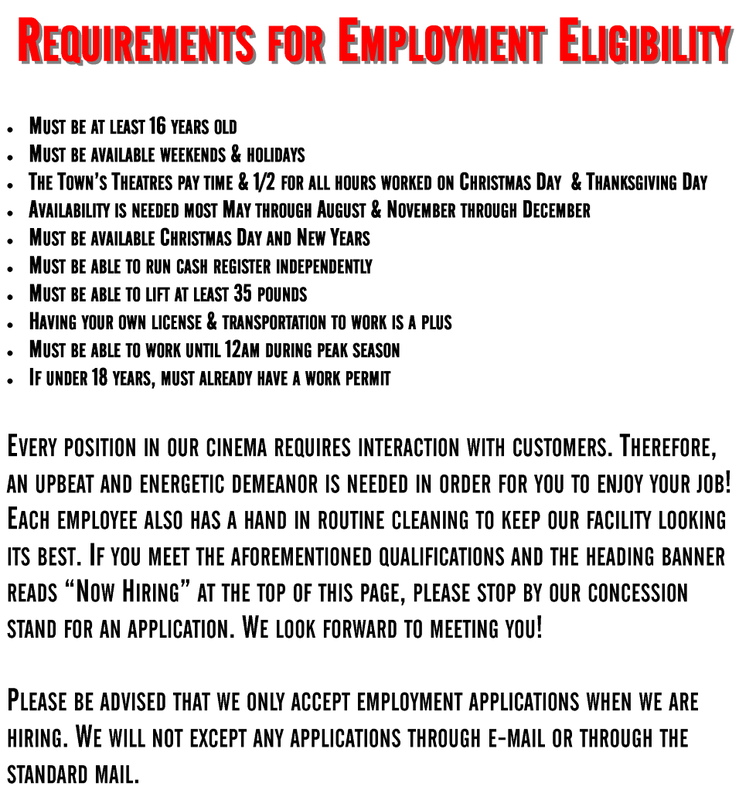 Please read over the Requirements for Employment before filling out your application.